Mixing bowls make perfect lamp shades. A colander makes a great planter because it comes with drainage holes. Turning oven mitts into portable first aid kits is a brilliant idea if you travel or camp a lot. Use plastic forks to make a unique cover for you hanging light. Use a full tea service set to create a visually interesting light. Use plastic-ware to create a globe light perfect for your kitchen! This unique, but functional, lamp uses an old teapot. 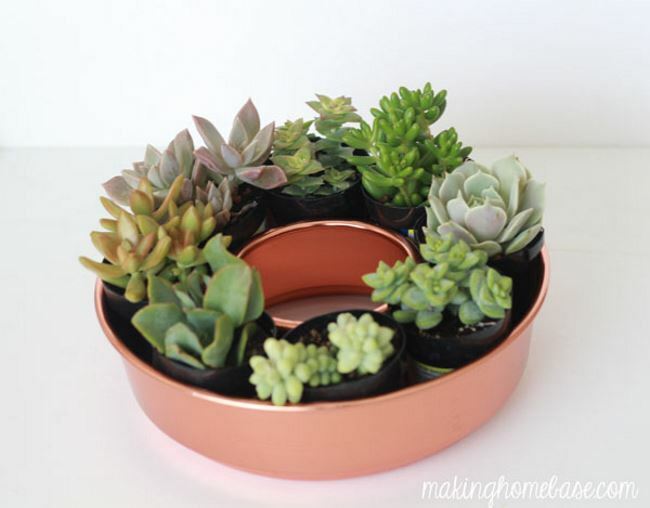 Have a creative planter by using a bundt pan. An old colander and various knickknacks can be turned into a charming wind chime. If you can work with glass, half a large glass jug makes a wonderful lamp shade. Pass along these ideas to anyone with a kitchen, and share this page!